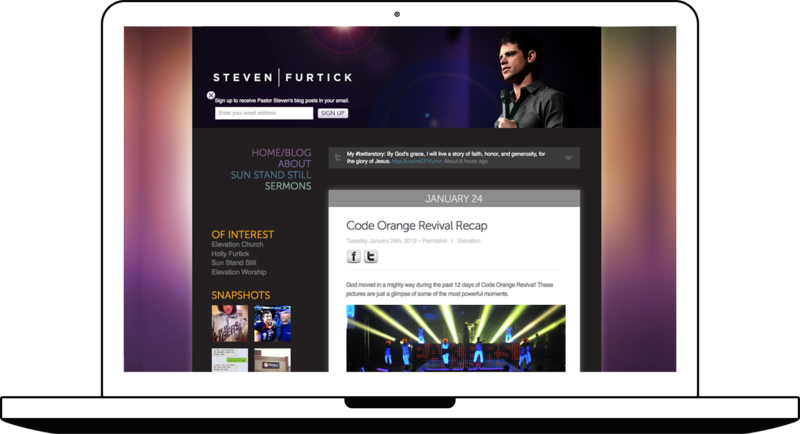 Pastor to thousands at Elevation Church, Steven Furtick uses his blog as a platform to reach those inside and outside of his growing congregation. The site accumulates hundreds of thousands of unique visits per month from mobile, tablet, RSS, email and desktop visitors. The blog is built on WordPress and enables his staff to schedule posts, sync with Twitter, keep archives, and attach resources to posts. Signing up to receive his blogs via email or reader is a quick, one step process. 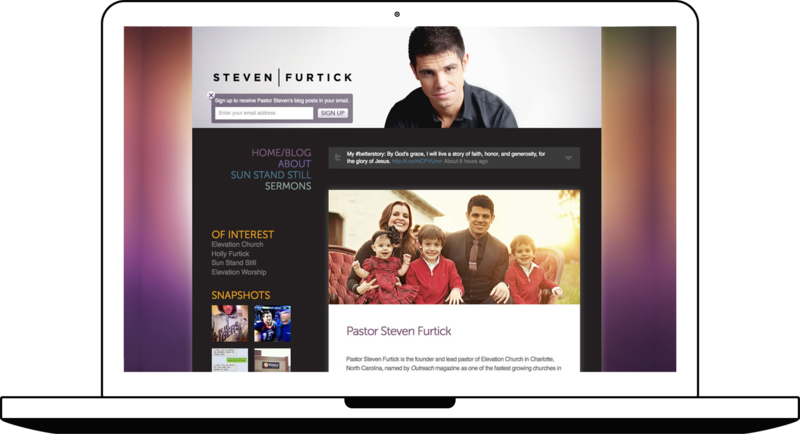 Since I have left Elevation has updated Steven Furtick’s blog. Their web team has done a fantastic job on the latest version. Take a look.